Pigeons are amazing enough by themselves. But to win races, they’ll need extra training and good feed. But how do you train your pigeons and what is good feed? It all depends on the types of races you train for. In this article, we’ll provide some basic information about the pigeon body. In our next article, we’ll give you a training schedule and racing diet. These two articles will give you great insights in pigeon racing strategies, so make sure to keep an eye out next month! Pigeons are grain eaters and have a high metabolism. The food they eat, as with every organism, is the fuel that gives them heat and energy. Pigeons have a extraordinary high body temperature of 42ºC. This means they need plenty of food, but also that they digest food rather fast. You might be interested in this article in the Journal of Avian Medicine and Surgery. This journal is an absolute must to follow if you're a pigeon fancier. It has great information about the biology of birds. Runners eat lots of fibres (pasta’s, etc.) to digest fast and get in energy really fast and they take in some proteïns and carbs to repair muscle tissue. Knowing the difference in races, body types and feed will help determine great pigeon racing strategies. Each of your pigeons is different, just as each type of race and each feed. Use it to your advantage. Bodybuilders need to eat a lot 'building blocks' for their muscles. They want big and strong muscles, so they need a lot of source material. The bigger the building you want to build, the more concrete you need! Runners don’t want to build their body big, but fast. They don’t need ‘concrete’ to become bigger, they just need fuel to burn to go faster and endure longer. That means they don’t eat as many proteïns as weightlifters, they just want the fuel for long distance running. They burn a lot during these runs, so they eat a lot of easy-to-digest fuel. Bodybuilders and runners have different diets for different purposes. But if you paid attention, you noticed they eat the very exact same thing. They only eat it in different proportions. Muscles are muscles and all muscles need fibres to work and proteins to grow. The amounts you take of each just depends on your goal. To set up effective pigeon racing strategies, you need to know about these distinctions. But first, let’s have a closer look at the different muscle fibres, to understand what they need. Oh btw, there are fibres as in food and fibres as in muscles. Just to be clear on the distinction ;) Up till now we talked about edible fibres, now we’ll talk about muscle fibres. Type IIb (fast glycolytic fibres). These are the heavy machinery of the body. These muscles are used for short, heavy exertions. They are white, because of the lack of myoglobine. They are used for heavy lifting (bodybuilders) and short sprints (sprinters). Based on this information you can set up pigeon racing strategies. You have to keep in mind what you use each of your pigeons for. If you train your pigeon for marathons and long flights, you want a diet that compliments its Type IIa muscles. If you want to train you pigeons for sprints, focus on the Type IIb muscles. Based on our experience, you don’t want to completely focus on just one type. For example, if you only train short, explosive sprints and only provide a diet that builds and repairs white muscles, your pigeon is going to lose every race. No doubt, the pigeon has an explosive start and will be at the head of the group for a while, but it’ll get fatigued soon and your pigeon will slow down well before the finish. You always want to combine training and diets to avoid ‘strategic weaknesses’. Train and feed your pigeon in such a manner that they have enough explosive power to be the first of the group, but also enough endurance to remain first long enough to reach the finish first. The same goes for endurance flights. 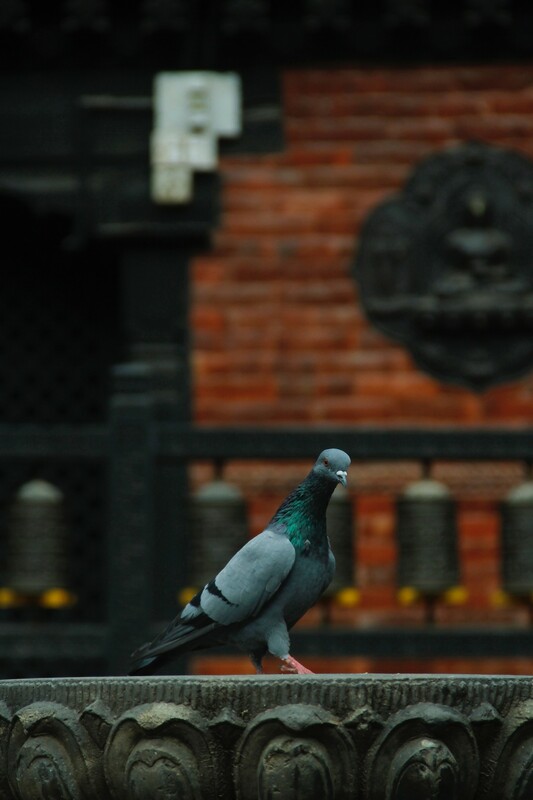 Make sure your pigeon has enough endurance to make it to the finish, but is also strong enough to be the first. Especially for marathons and long flights, there are many techniques and strategies. Some train their pigeon to start explosively, and then slow down to a constant speed to reach the finish. The explosive start helps them get in front, the endurance helps them to stay in front. Next month, we’ll give you our training schedule. We’ve won many prices with our systems. We’ll also give you a ‘racing diet’ to get your pigeons in top shape for a race. With those systems you’ll have a great base for setting up your own pigeons racing strategies that work for you. If you are a beginning pigeon fancier, make sure you dive into the science behind the pigeon body. This will give great insights in how you can train, feed and protect your pigeons and make them into champions.